Canada has the most lakes of any country in the world—and don’t even get us started on the coastline. All that water might help explain why fishing is a big deal here. In a recent survey, nearly 50% of respondents listed fishing as a favourite pastime. That also means lots of choices when you’re in search of the best fishing in Canada. 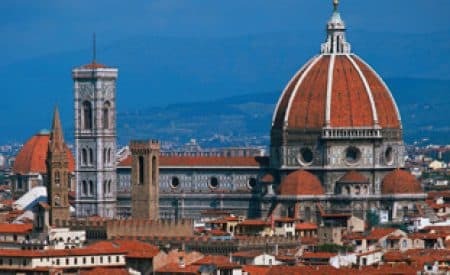 We scoured social media sites, like Instagram, Facebook, and Twitter, to find the places that garnered the most attention, then listed them by mentions per capita and popularity. Whether you’re in search of heart-pounding saltwater salmon runs or the ultimate relaxing ice fishing trip, you’ll find your inspiration here. Fishing in Port Hardy is a sure winner. Fuel up with a plate of legendary Captain Hardy’s fish and chips, then get out there. 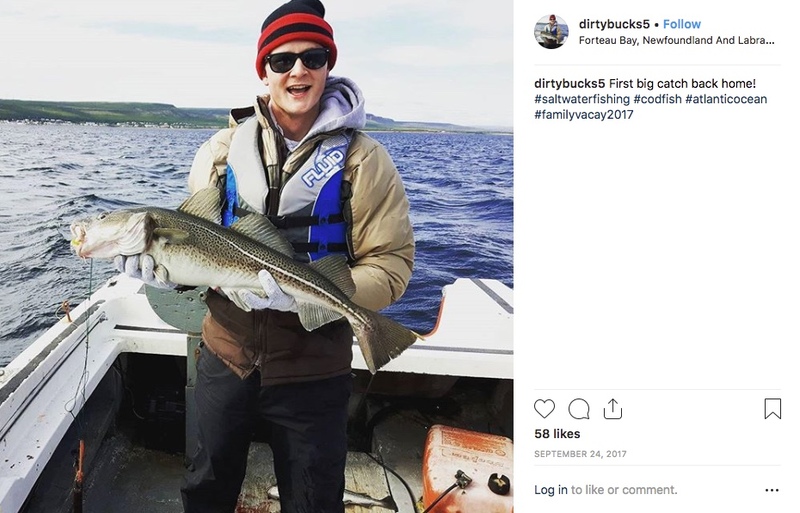 Codfather Charters offers salmon and halibut packages with gear, meals, and accommodations included. They’ll even clean and pack your fish, so you can make your friends at home jealous, too. Two words: Lake Diefenbaker. It’s one of the best fishing lakes in Saskatchewan, and we’re talking year-round. Ice anglers can snag 30-pound northern pike in winter, while spring thaw brings huge trout and loads of perch to the surface. 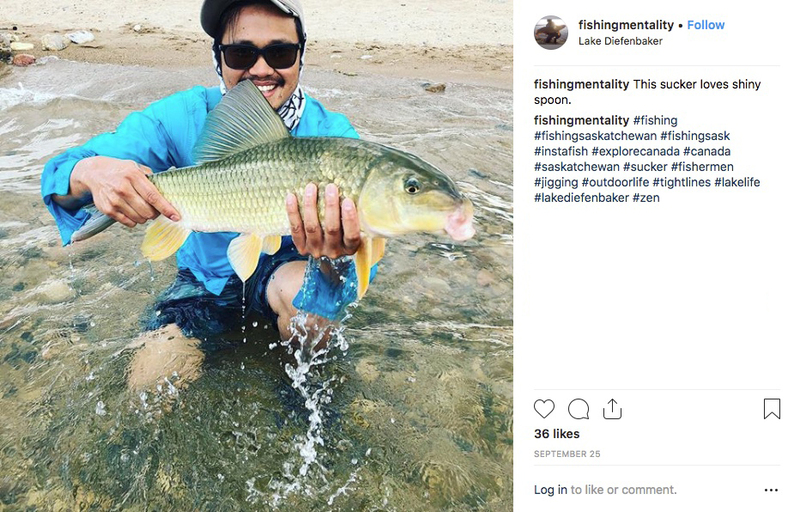 Lake Diefenbaker Fishing Charters runs tours in every season, so all you have to think about is reading up on the fishing report. Great Slave Lake is the deepest in North America, and monsters lurk in its depths. The deepest point is Christie Bay, at a stunning 614 metres. Experience the trip of a lifetime at Frontier Fishing Lodge, located right on its banks. 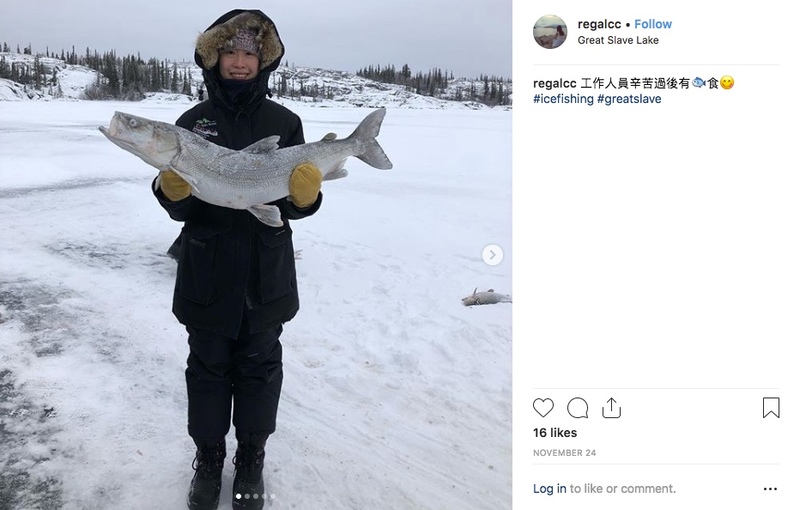 For true fishing warriors, there are winter adventures with Great Slave Lake Tours in Hay River. Barrel over the lake in a bombardier and ice fish the day away for the quintessential NWT experience. What you’ll catch: Huge channel catfish! 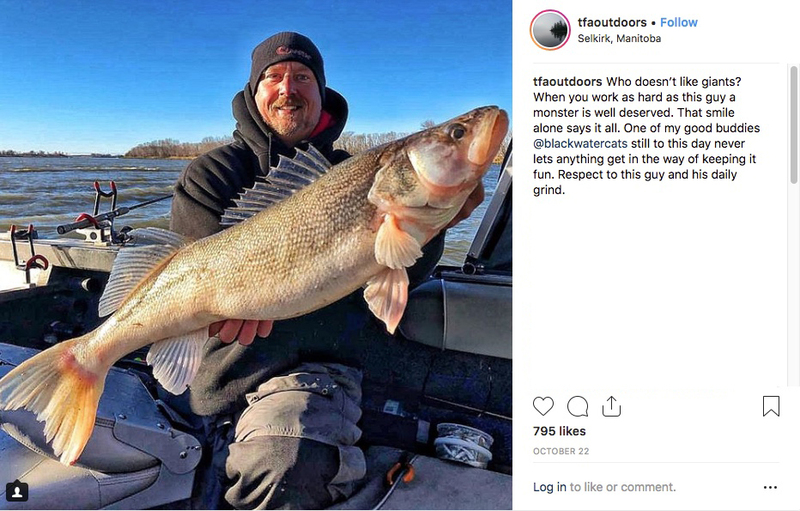 Selkirk is located in the heart of the Red River North district, the “Channel Catfish Capital of the World.” Hook up with CatDaddy Fishing Guide to learn the ropes—er, lines. 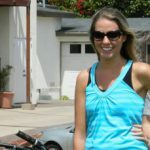 Got the know-how, but need equipment? Stop by Smoke N Fish for rods, bait, and tackle, rent a boat with Parkside Rentals, and get fishing! What you’ll catch: Brook trout, lake trout, rainbow trout, brown trout. All. The. Trout. No surprise here! The fishing in Banff and Lake Louise is unrivalled. For fly fishers, Blue Wing Adventures offers trips on the Bow River. On Lake Minnewanka, take a tour with Banff Fishing Unlimited for expert advice. They also offer winter ice fishing trips at Spray Lake for the truly intrepid fisherman (or woman!). 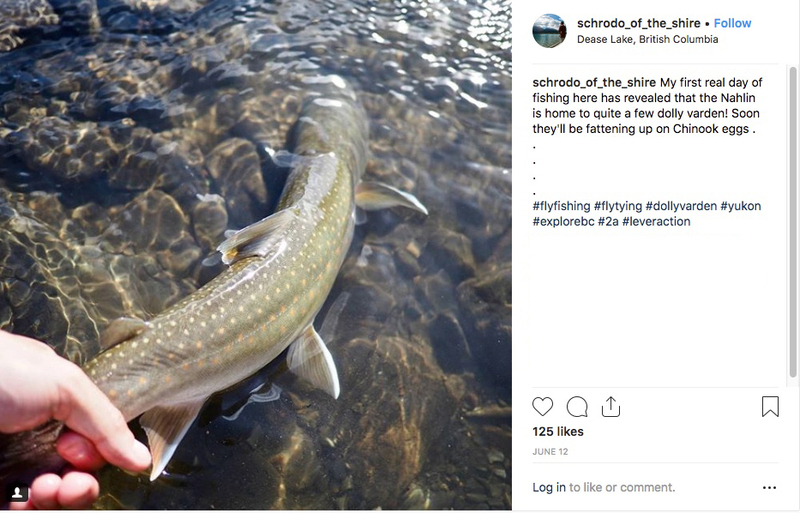 Guided trips are the way to go for another reason: you’ll be able to identify at-risk species, like bull trout and cutthroat trout, which must be thrown back by law. Nipigon is known for its world-record brook trout, plus lake trout up to 23 kg. 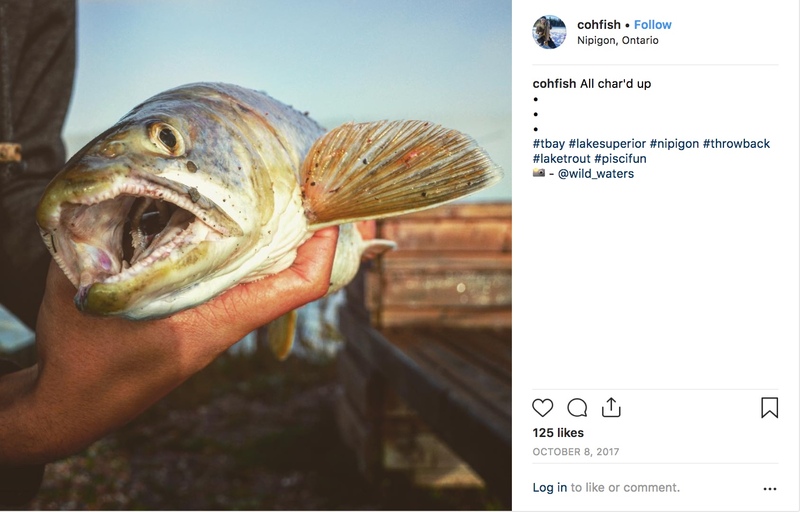 Increase your chances of snagging a monster when you get your gear—and advice—at Nipigon River Bait Tackle & Souvenir. If you can stand waiting just a few more months, pay a visit during the Nipigon Fall Fishing Festival over Labour Day weekend. Better yet, why not go in both spring ­and fall? Manitoba is home to some of the great fishing lodges in Canada, and Flin Flon is no exception. Bakers Narrows Lodge offers legendary ice fishing packages with everything you need. 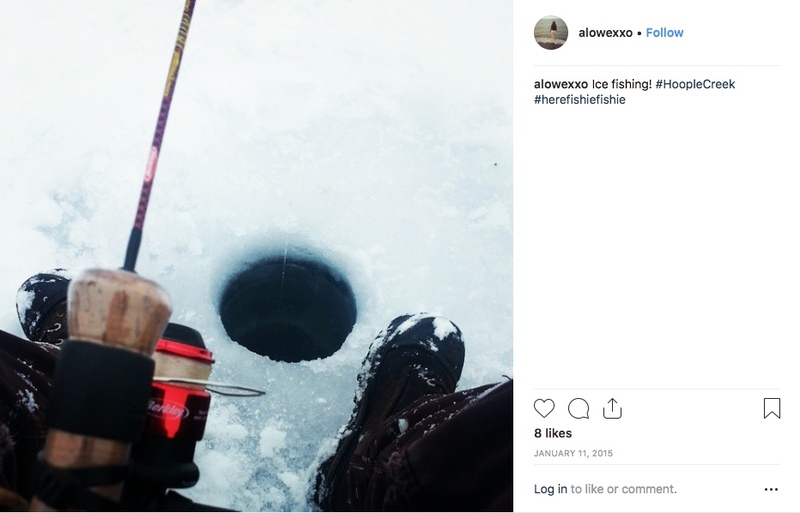 Don’t miss the Flinty Ice Fishing Derby, held April 9, 2019, on Clearwater Lake. Last year’s winner was an 85 cm giant! 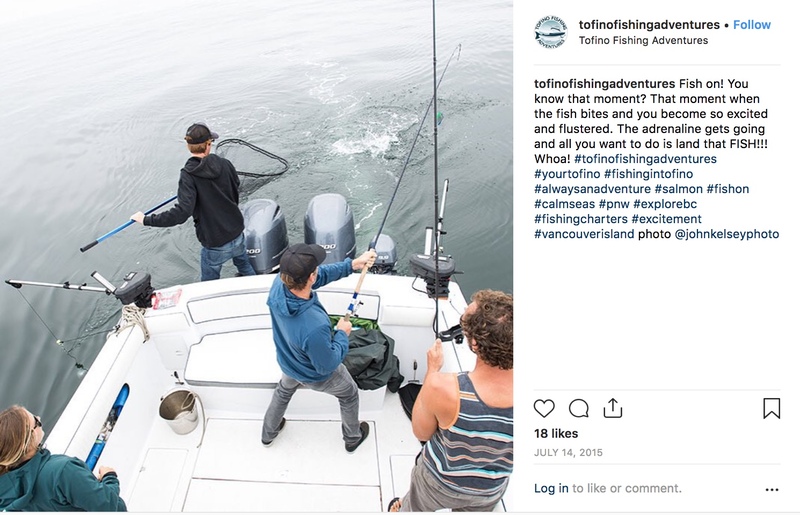 Before fishing in Tofino, take care of first things first: Freshen up your wardrobe at Tofino Fishing & Trading so you look amaze in your Instas. Then get out there with Cleanline Sportfishing. Take the offshore fishing experience to reel in giant salmon or cast your line on a freshwater fly fishing adventure accessible only by floatplane. Wondering where to fish in Ontario without a boat? In Peterborough, you can leave it to the experts. This spot is central to the 130 lakes of the Kawarthas and is the best fishing spot near Toronto, bar none. Panfishing with Chemong Lake Fishing Charters is perfect for newbies. If you’re after the big boys, Williams Outfitters will take you out on its own fully loaded bass boat. And of course, there’s no boat needed for epic ice fishing on Lake Simcoe! One look at this quaint seaside town shows you why Forteau was a top choice. Sea View Cottages & Restaurant overlooks that beautiful scenery, and offers a “Salmon by the Sea” package that includes accommodations, guided fishing, and traditional salmon “boil-ups.” That’s a coastal adventure done right. Stettler County borders the southern edge of Buffalo Lake, an awesome under-the-radar spot for ice fishing in Alberta. You’re practically guaranteed to hook something here, and that’s important when you’re freezing your tail off. Plus, it’s about 2 hours from both Edmonton and Calgary, making it the perfect day trip for city-dwellers. Register your ice fishing hut with the county, stop by the local Peavey Mart for supplies, and you’re good to go. Lac La Ronge is not only gorgeous, but filled with all sorts of finned wonders. Up here, your best bet is to stay at a lodge, so that all you need to bring is your love of fishing. Pickerel Bay Cabins offers packages in the warmer months. However, lovers of winter solitude will find peace here as well. Ice fishing on the lake is some of the most picturesque around, and North Country Lodge is in the most scenic spot of all: Hunter Bay. If you’ve never been ice fishing in Quebec, what are you waiting for? 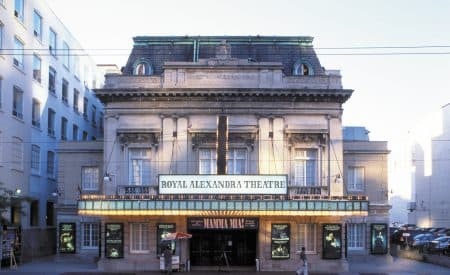 You don’t even have to travel far: the region of Bas-Saint-Laurent is just 200 km from Quebec City. Experts can gear up at La Salopette et l’Aventurier, then go it alone on Lac du Repos (you’ll need a reservation in winter). If you’d rather have some company, Excursions de Peche is happy to show you the ropes—and the fish—on Lac Témiscouata. With local rivers that empty into both the Pacific and Arctic watersheds, Dease Lake has a huge diversity of fish. Fly fish for Arctic graying or troll the lake for giant trout with Little Dease Ventures. Already an expert? Try your luck at the Dease Lake Fishing Derby, over Canada Day weekend. No license? No problem. 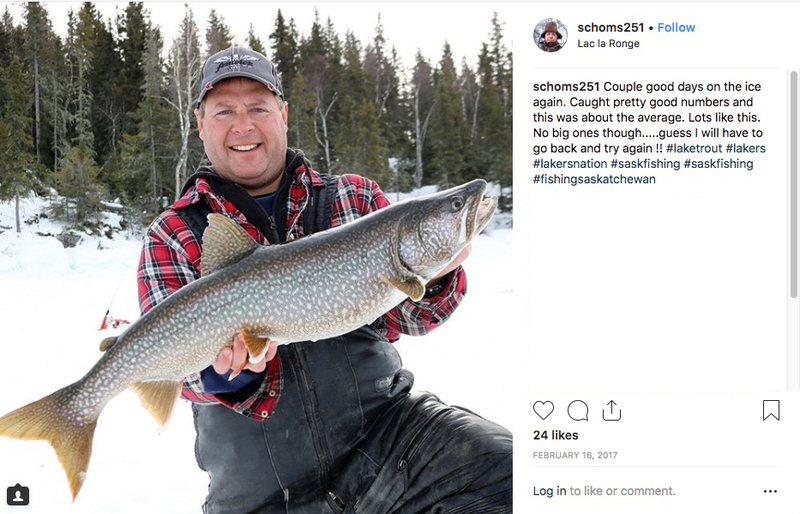 Just go ice fishing in Ontario over the first license-free Family Fishing Weekend in 2019, from February 16–18. In Cornwall, get your ice fishing gear from Fence Depot. Don’t let the name fool you—they have supplies of all kinds. The long-running Alexandria Ice Fishing Derby is also nearby, held this year on February 16. 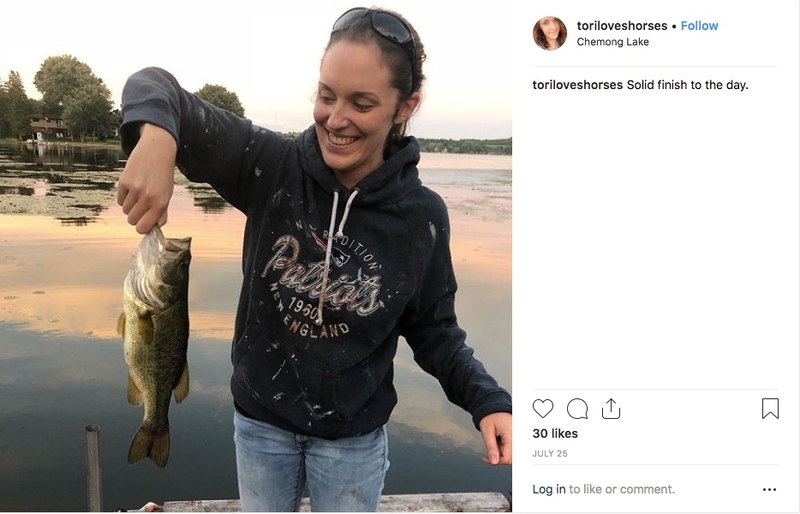 In summer, there’s a license-free Family Fishing Week from June 29-July 7, and Cornwall has two free boat launches on the St. Lawrence River to help you enjoy it. You can’t go wrong in Cornwall. Remember to always check the rules regarding permits, possession, and bait and tackle, as these vary by area and by fish. And when in doubt, go with a guide. Most of all, get out there and have fun. The fish are always biting at the best fishing lakes in Canada! Forteau bay Labrador. Best place to catch cod fish.